Location-based marketing is part of our daily lives as consumers. Even when we’re not searching specifically for a service provider near us or for a product at the local Macy’s, search engines will still share relevant, local results with us anyway. As a business owner, you should capitalize on this — even when you’re far, far away. Local marketing –– also known as “location-based marketing” and “neighborhood marketing” –– is the process of optimizing your website and online advertising to help drive foot traffic and awareness in localized regions. This type of marketing specifically targets potential customers in a physical store’s community. Google algorithm uses a searcher’s location to serve up relevant local businesses. This means that your business has more of an opportunity to oust non-local competitors through local SEO. Local marketing leverages this, giving you tools, tactics and strategies to make it easier to convert that local traffic into sales, either online or in person. Who Can Benefit from Local Marketing? Brands of all sizes can benefit from local marketing. That’s because local marketing isn’t just about tagging some location-specific keywords on to your product descriptions and calling it a day. It’s about taking a more targeted approach with your audience and doing it in a manner that seems more personal. Both consumers and search engines are greatly in favor of hyper-localized marketing, so now’s the time to make it work for your brand. Here are 7 ways to “localize” your site and consequently increase conversions, even when you don’t live anywhere near them. What do you think is the main difference between how large corporations are perceived as opposed to smaller businesses? According to Wesley Young, consumers believe that smaller businesses are better known for quality, personalization and trustworthiness. Even if your goal is not to target an audience within a specific geographic region, you may want to shift your company’s values in order to look more like a trusted brand. Well, you could take a look at your branding to start; specifically, how friendly, relatable and conversational does your messaging sound? Local businesses remember that they’re catering to people; national chains can often get lost in the numbers. By taking on that more personable approach with your messaging and style –– across all channels –– you can improve your brand’s perception. Raven + Lily started as an Austin, Texas boutique. Today, they have their flagship location in Austin, but have expanded to a brick-and-mortar in New York City as well. Despite the growth, the brand team keeps their local-first voice and mentality intact. One in six people on the planet work in the global fashion industry; a majority are women earning less than $3 per day. The fashion industry is the world’s second-largest polluter, just behind the oil industry. We believe in empowering women. When women are empowered to earn an income, they reinvest 90% of their income back into health, education, food, children, family and the community. Our partners set the price we pay, ensuring a fair wage. This empowers the 1500+ women employed by our work to break the cycle of poverty through fair trade wages. We research the source of our materials, down to the button. By using recycled or repurposed materials, we stop the waste that typically accompanies the industry. Our partners employ at-risk women: trafficked, HIV+, previously homeless, or in oppressive situations. We empower women to earn a living for themselves and their families. This in turn provides access to healthcare, education and healthy living. We are members of the Fair Trade Federation, as well as the Ethical Fashion Forum, Sustainable Brand Leader for Jewelry Award. Tyler’s has long been a popular t-shirt shop for University of Texas students. Located on The Drag (Guadalupe Street for non-Longhorns), generations of Texans across all age ranges have wandered in and purchased from the beloved brand. But Tyler’s needed to go above and beyond their Austin roots to grow a bigger brand across the U.S. –– and keep in touch with loyal customers who have since left their home state. That’s when they launched their online store –– as well as expanded their product catalog. Today, Tyler’s no longer sells only t-shirts. You can find a range of product items both in-store and online. And to keep their local vibe –– and trust –– intact, they’ve made sure their site harkens back to their Texas loyalty. Let’s say you need a new accountant. As a consumer, how would you go about finding them on Google? Chances are, you’re using a city name even though their location (or yours) doesn’t necessarily matter. But adding hyper-local keywords to your business site’s content could be difficult if you aren’t going after an audience that’s local to you. If you’re a national brand, couldn’t that harm your business? Or, worse, ruin the quality of the content on your site by infusing too many local keywords into the copy? There are a few options to consider based on the type of business and site you offer. 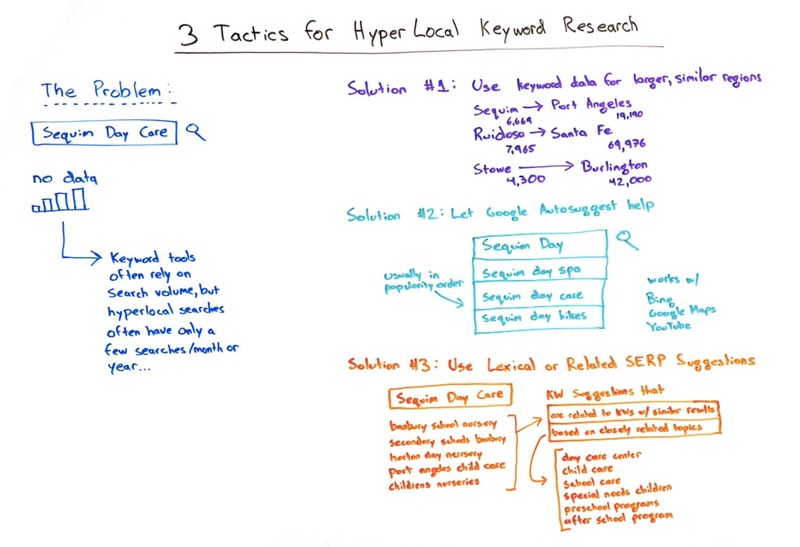 Rand Fishkin of Moz did a great roundup on how to find the right kind of hyper-local keywords for your site. While this is a great suggestion for smaller businesses that want to target larger metropolitan areas and the surrounding suburbs, this still doesn’t address the issue faced by national brands. The best way to get around this? Create location-specific pages and posts and then center those around more expansive regional keywords. For instance, say your business has a location at the King of Prussia Mall. But targeting an entire page to residents of King of Prussia wouldn’t make sense as people from all over the Pennsylvania/New Jersey/Delaware region travel out there to shop. So, instead, you target the page to the Greater Philadelphia area. In other words, create category pages merchandised with local goods and content to target your local consumers. Remember the Tyler’s homepage above? Let’s zoom in on their collections so you can see how a now national brand targets their home state and city. There are a number of tools you can use to create long-tail keywords for your site. Moz has one of them. KWFinder is another good option. If you’re not doing this already, you really should. As more users turn to mobile devices and voice-activated search to interact with the web, search terms will sound more like natural phrases you’d hear in conversation, not formal terms we’d apply to our brands or products. Long-tail keywords are the solution. As Fishkin says, Google autosuggest can be very helpful in this regard. Simply type in your business type, service offering, product name, or other descriptive label you want people to find you through. Then include a hyper-local keyword. Voila! Google will provide you with other phrases users have found related (or perhaps better) results with. If you can make any of those work for your brand, by all means, snag them up! Even better, it is theorized (because only Google knows for sure how Google’s algorithms work) that Google’s algorithms use keyword clusters to service up the best content. Instead of showing you results only for “dachshunds” for instance, the platform will also show you results for “weiner dog” –– because it now knows those two results are highly related, and therefore form a word cluster. The more word clusters you can address on a single page, the better your chances for ranking. 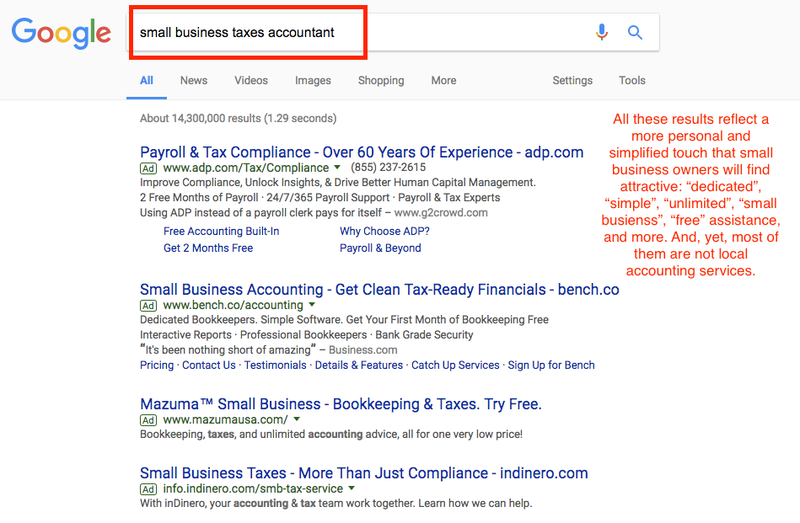 The Google trick above helps you understand what other keywords form this search’s particular cluster. Use as many of them as is natural. This last suggestion has more to do with finding descriptive keywords that paint your offering in a more relevant light for consumers (it’s that whole trying to seem more intimate and local thing again). In other words, bolster your content with terms that remind visitors of your brand’s local-type dedication to quality and service. It’s very easy nowadays to connect with people on social media based on their physical location. Just remember that this is not the place to push your hard sell. You’re there to create genuine engagements and increase the awareness of your brand through those interactions. According to Hootsuite, 48% of U.S. consumers have engaged with brands on social media. One of the biggest drivers of those interactions? Customer service. 59% of those surveyed by Hootsuite said they appreciate the speed and convenience of using social media as a customer service platform. JetBlue is always a great example of this as their Twitter-based customer service is always professional, timely, and consistently delivered. But that’s not the only way you can use a more “local” approach in your social media marketing. You can show your audience your “local” flavor by adding location-specific information to social media. Even if you can’t publish the contact info for each area you want to target, you can use hyper-local keywords in your hashtags, bios, and posts. Or simply do as Wegman’s does on Facebook: call attention to local stores and then put a local face to them. As you can see, it’s not just about reaching out to local consumers and starting a conversation with them. It’s also about showing specific areas some love, too. Here’s an example from Austin-based store Packed Party. Notice how they identify their location, call out specific city-related issues (traffic for instance), but also use hashtags so that a larger audience can find their content. If you’ve worked with clients or served customers in the geographic area you’re looking to target, a testimonial or review from them could go a long way. In the aforementioned Yodle study, 75% of customers said they relied heavily on online reviews as a source for evaluating the quality of local businesses. Now, while this statistic may specifically pertain to local businesses, national brands can benefit from publishing positive reviews and testimonials –– along with the reviewers’ location as well. 82% of adults in the U.S. check online reviews before making a purchase. However, 48% of those surveyed expressed a lack of trust in the quality or veracity of online reviews. This is where local reviews will come in handy. Online consumers may have a hard time trusting the glowing reviews of some of their peers, but that likely won’t be the case if local reviews and testimonials present themselves. For online-only companies, this may seem like a difficult task (since you’re not likely to meet any of your customers), but it’s not totally impossible. For one, this is a clear example of how their project management tool helped a well-known local resident. Secondly, this is also a form of influencer marketing as they were able to interview a local influencer who raved about their business. And here is how an online retailer follows a similar strategy. By highlighting the work of local organizations that also mesh with the values and mission of the brand, The Mountain writes blog posts that help sell their merchandise and give back to the local area. When you spend money on advertising, you’re hoping for a large payoff. Sure, national and other widespread brands can target their outbound marketing efforts around certain demographics or other buyer persona traits, but geography… well, that’s something that’ll truly optimize your ROI. If you know that an event or other activity is taking place in your targeted geographic region, you can run an ad that offhandedly mentions it. The more you can “speak” like locals when directly targeting them, the more receptive they’ll be. In addition to using local-specific keywords, you can also use the local lingo. Just be careful about this one as some consumers find the overuse of slang to be annoying. You may also want to personalize your ads even further and create offers specific to their regions –– offers that make sense based on climate, average age of the population, etc. 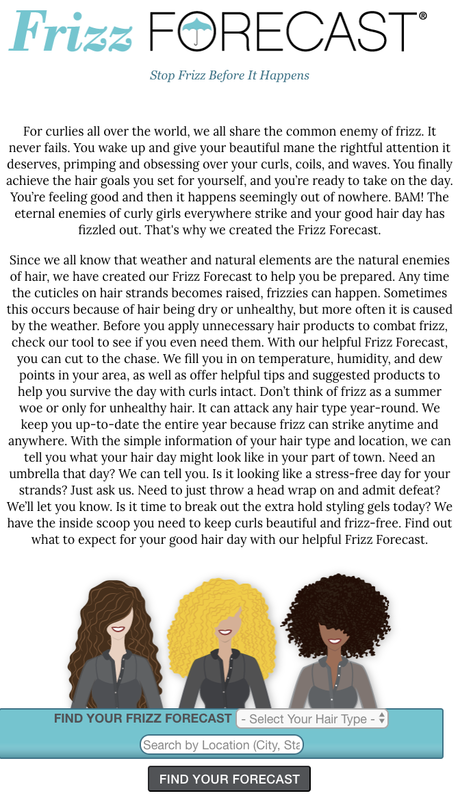 Check out how NaturallyCurly does this with their FrizzForecast. A consumer enters their zip code, and now NaturallyCurly can serve them ads based on their area. Remarketing may be one of the sneakier ways to advertise to your audience, but it sure does work –– if you do it right. The goal in remarketing is obviously to grab ahold of previous visitors’ attention as they travel around the rest of the web. An overwhelming majority of consumers (88%, to be precise) want businesses to advertise special discounts and deals for their returning customers. So, make those paid opportunities count. Marketing is all about staying top-of-mind with your audience. Even if you don’t have a physical presence in the targeted region, you can still get involved in the local community. Now, if you’re targeting a wide range of regions around the country, this one could get a little pricey and labor-intensive. However, if there are one or two areas you want to target with local marketing, take a look at their local events calendar and see if you can make a sponsorship work for your brand. For regions with major local events (like a state fair), you could serve as a sponsor and increase awareness that way. You could also look into other heavily populated affairs, like sports teams, parades and races. Keep in mind Marketing Land’s tips on how to choose a local event to sponsor. Then make sure you understand what you’re getting yourself into before committing to any one of these. For something less committal, but still supportive of local communities, you could always blog about local events within the context of your business and what you offer. Perhaps you have a particularly helpful service or product that could cater to whatever is at the root of the event (like a walk for cancer). You’d help drum up awareness for the cause while also giving your company a natural tie-in. Di Bruno Bros uses both of these strategies incredibly well through their blog. They host events at their store, using their products as the purpose behind partnerships with other like-minded people and brands, like in this example below, with a fellow but passed cheese lover who dedicated funds to grow the passion of future cheese lovers into profitable ventures. Cheese for a cause! Join us on Thursday, June 22nd for a cheesy soiree to raise money to honor Daphne Zepos, a trailblazer in the global cheese community. We’re hosting a cheese tasting party to raise money for the DZTA, which is a scholarship created in her memory. The DZTA helps to grow squads of cheese professionals who teach about the history, culture and techniques in making, aging and selling cheese – a cause near and dear to our hearts! Tickets are $40 for one, or $75 if you buy a pair. We already know that by increasing the number of high-quality backlinks to your site, you can consequently improve your brand’s SEO and general reputation with your audience. The way it works is fairly simple: as more reputable domains link to your site, Google and other search engines view your site (and the underlying brand) to be just as reputable. A high-quality backlink is basically an endorsement from a trusted source. But those links aren’t just about demonstrating your site’s value or high profile; they’re also about getting in front of a newer and larger audience. If you want more face time with a local audience who may not otherwise know your brand’s name, you can target local publications. The first thing to do is find local publications that align with your business model. Then see if they’re looking for ad placements, guest writers, business listings, or even if they’d like to do a write-up about your company or service. See below how sites and publications like Austin Monthly Magazine include links out to brands for their readers to shop. When pitching publications, identify an interesting angle that caters towards their readership. For example, Barbon’s Barbershop (a local East Austin barber), had success landing spots in local publications by highlighting that they are one of the only woman-owned barbershops in Austin. When you’re dealing with a generic, nationwide audience, it’s easy to get lost in flashy, high-powered marketing campaigns that focus on the “me, me, me.” But as you can see, that’s not what your audience wants. If you want to stand out from the competition, improve your site’s conversions and develop a more likable persona for your brand, you need to tap into what makes local marketing so effective. Meeting them in a place that’s more convenient for them –– on social media, at local events and even in the local publications they read. It doesn’t matter how large your company is or where your target audience resides (if anywhere), consumers want to feel connected to the “human” side of your business. And hyper-local marketing is the way to do it. Jeremy is a content marketing specialist at Codeless, where he helps businesses create long-form, educational and search optimized content to grow their visibility in market. 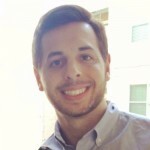 His research has been featured on HubSpot, Kissmetrics, Adespresso, BigCommerce and many others.